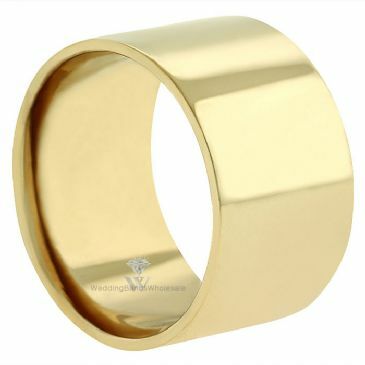 14k Yellow Gold 12mm Flat Wedding Band Medium Weight. 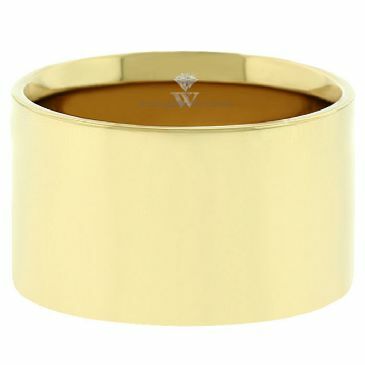 This 14k Yellow Gold Plain Flat Wedding Band is 12.00mm wide and 1.50mm thick, and is rounded on the inside. 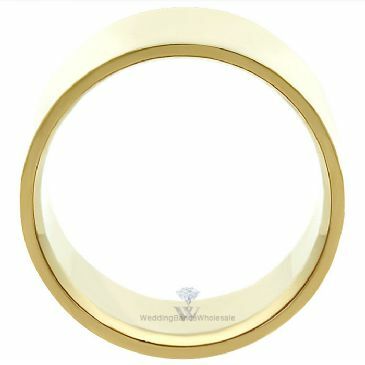 Our experienced jewelers handcraft everything in the diamond district located in Manhattan. The ring pictured depicts a shiny finish. We offer a range of finishes including, shiny, satin, florentine, matte and even soft brush finishes.